For a couple of months now I have been concentrating on improving my Corel Painting skills and as I have had quite a few emails from friends asking me “why I am being so quiet” (Facebook wise) I thought I would post my latest doodlings. I feel that this picture really takes me full circle – from when I started……. painting and drawing at life classes….. then discovering my love of photography… and eventually pushing my photographic boundaries forward learning how to use Photoshop to enhance my images. 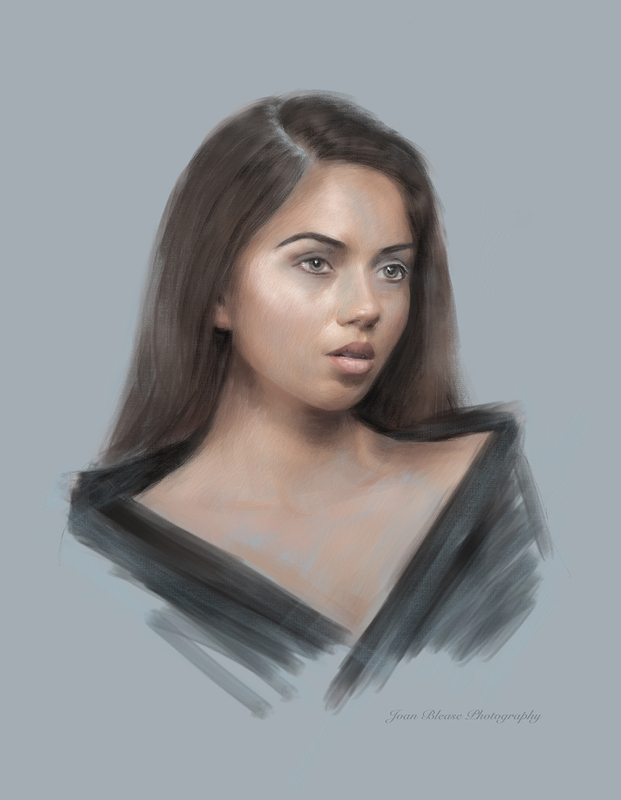 For a while now I have been learning how to use Corel Painter – looking back I started playing with Corel about 5 or more years ago but never “stuck with it” and I think that’s where I went wrong, you have to stick with it. On the whole I have found Corel Painter to be very frustrating at times but (when it all goes well) wonderfully rewarding too. So I am thrilled to report that after many hours of practice and numerous Youtube Tutorials etc I can finally see some kind of progress. Joan, you may have been quiet, but you have clearly been productive. This is very nice work indeed.